In the UK there are approximately 420,000 people who are resident in care homes and over one million who receive care at home. We trust these homes to take care of some of the most vulnerable people in our community. Whilst most homes take great care in looking after their residents, unfortunately there is an alarming rate of homes which have been found to neglect and abuse vulnerable adults in their care. So what types of injuries can occur in these settings, and what can be done if someone receives unacceptable treatment which results in an injury? The Welsh government recently published the Flynn report, its review into the neglect suffered by older people living in care homes in Wales. This was prepared following the ‘Operation Jasmine’ investigation, which has exposed the dangers and potential for abuse in a care home setting. ‘Operation Jasmine’ was an investigation into the deaths of 63 residents in nursing and care homes in south east Wales. In 2005, the police were contacted when an elderly resident of Bryngwyn Mountleigh Care Home died after being given an incorrect dose of medication. However on examination, she was found to have extensive unexplained bruising, a cracked collar bone, a broken rib and a ligature mark – none of which was documented in the records held by the care home. The investigation subsequently identified that this was not a one off, and a pattern of abuse and neglect in other care homes run by Puretruce Health Centre Ltd was uncovered. The review criticises the criminal legal system for being lengthy and failing to provide justice for relatives. In 2010 the CPS declared that there was insufficient evidence to prove that neglect was the cause of death for the 63 patients whose cases where investigated. It was found that individual cases of malpractice did not make the company responsible, meaning that companies could not be prosecuted for gross negligence manslaughter or wilful neglect. Proceedings continued against Puretruce Health Centre Ltd under the grounds of breach of Health and Safety legislation and fraud, but these were brought to a halt when one of the directors was assaulted and declared medically unfit to stand trial. Throughout the investigation, families of relatives were told to remain silent, which meant that claims were considered on an individual basis and did not take in to account the totality of the resident’s suffering. The review details accounts of serious neglect, with relatives describing the treatment provided as “an abandonment of common humanity”. It focuses on the need to make those who own and run care homes more accountable for their treatment of residents. It calls for private care homes, run by limited, non-listed companies, to be subject to the same rules and accountability framework as other sectors and NHS care homes. The purpose of a care home is to provide care and assistance to vulnerable adults. Unfortunately, this does not always happen and the care provided can sometimes fall below an acceptable standard resulting in injury and suffering. The Health and Safety Executive has produced guidance for care homes which will enable them to sensibly and proportionately manage risk in a way that respects the rights, freedoms and dignity of residents. Many of the residents in homes will be older. As our body ages, its natural resilience to infection and injury gets weaker. This means that sustaining an injury can often be easier, and once an injury has occurred, it’s likely to cause a more severe impact on the body. Care homes have a legal duty of care to their residents to ensure that they provide a safe standard of living. They must take steps to minimise the risk of injury occurring, such as provide training to their staff in managing mobility, hydration, nutrition, skin care and the prevention of pressure ulcers. If care homes fail to take reasonable steps to provide a safe environment for their residents, and an injury occurs, it is likely that a claim for negligence can be brought. A failure to prevent incidents, for example by failing to carry out an adequate risk assessments or provide the necessary standard of care, is a common ground for a medical negligence claim. That this breach of duty caused a physical and/or financial loss that would not have been suffered if the breach had not occurred. A claim for negligence is brought for a failure of the home to look after residents properly, for example, by administering incorrect medication. Neglect differs in that it is a claim for not being cared for. The most common claim for neglect is for pressure ulcers, which are entirely preventable if appropriately managed. When an injury has been caused as a result of a care home breaching its legal duty of care or because of neglect, they are liable to pay compensation for the injuries caused. 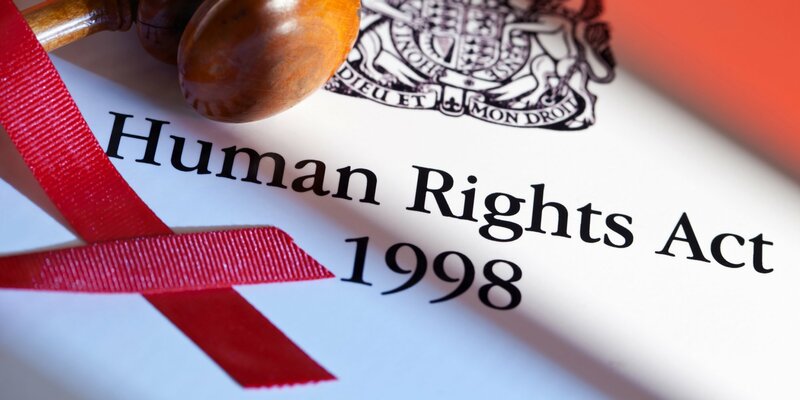 It may also be possible to bring a claim under the Human Rights Act 1998. Article 2 of the Human Rights Act sets out everyone’s right to life. It imposes a positive obligation on NHS care homes and hospitals to take adequate and appropriate steps to safeguard life. If neglect and/or malpractice in a care home setting leads to a patient’s death, a claim may be brought under Article 2 of the Human Rights Act. There are considerable benefits to bringing a claim under the Human Rights Act, including compensation which is uncapped. Case of grave neglect may also breach Article 3 of the Human Rights Act, which details the right to freedom from inhumane and degrading treatment. An example of such neglect could be when a patient develops a pressure ulcer. The Flynn report highlights how often abuse and neglect happens in care homes and seeks to set out recommendations in which incidences can be prevented. This includes making private care homes and their directors more accountable for the care provided. Whilst all care homes should provide appropriate care for residents, sadly this is not always the case. It is important to remain vigilant as often the signs of abuse and neglect are not obvious – particularly when residents may struggle to speak out. If neglect or abuse is suspected, concerns should be raised with the care provider immediately. A medical negligence solicitor will also be able to advise you on your legal rights to pursuing a claim for compensation. Our team of dedicated medical negligence solicitors have years of experience in achieving compensation and peace of mind for patients who have suffered injuries in care homes. We understand how difficult it can be, to know that the trust you placed has been broken. We will thoroughly investigate the care provided and seek to provide you with answers and compensation for your losses.